At some point, most individuals will look for a loan to make an investment for their future. By understanding the process to obtain a loan before you need to borrow money, you can confidently compare loan options to meet your situation and obtain the best rates possible. It is never too early to learn about the information required to obtain a loan. Credit ratings, income, and assets are areas that greatly influence your ability to get a loan. The type of loan you request also determine payment schedules and interest rates. The following information will help you understand the loan process. It comes as no surprise that your credit history and ability to repay a loan is a key factor in borrowing money for any reason. The higher your credit score, the better terms you may expect on your interest and repayment schedule when making loan payments. You can request free credit reports once a year from the three major credit bureaus Experian, Equifax, and TransUnion. Errors do occur in reporting changes so it is important that you review your credit history at least once per year. Contact the credit bureau to correct errors as soon as possible, you will need to provide proper identification and support of payments made to have your report updated. Make all payments on time and maintain a low debt to credit ratio for the best scores possible. Most experts recommend owing no more than thirty percent of your available credit. 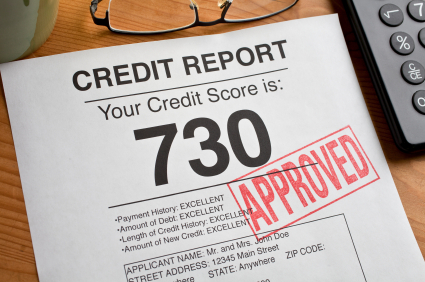 How is Credit Reporting Done? Loan types: How will you be using the money? There are two types of loans available. Secured loans require collateral meaning some assets the banks may access to recover their money if you do not make timely payments. Unsecured loans do not require collateral. However, interest payments are higher, and these types of loan are only available to those with excellent credit records. Other factors that will determine the interest and payment options on money you borrow will be the type of loans you seek. College loans, car Loans, and house loans are the typical loans requested. All of these loans require collateral. College loans vary greatly and may have the option to delay a repayment plan until after graduation. The collateral for a car or house loan is the vehicle or home you are purchasing. Be sure you shop around, investigate lenders carefully, and understand all payment details before signing any papers. How much money do you need to borrow is an important question. Another way to consider this question is to ask yourself, how much money you can afford to repay. All loans carry an interest rate and for each payment that is made, only part of that payment goes towards the principal (amount you borrowed). The rest goes towards interest on the loan. The interest is how lenders make money by lending money. These rates vary according to the type loan, lender, and your credit history. As a rule, the sooner you can repay the principal, the less interest you pay on top of that amount. Interest rates may be fixed, variable, reversed, or any combination. Be sure you read all information regarding interest rates and obtain a total for the amount you will be paying that includes interest amounts clearly identified. With some loans, your interest rate may dramatically increase due to a late or missed payment. The best option is to lock in the lowest interest rate possible and pay off a loan as quickly as possible. Avoid lenders that stipulate a penalty for early repayment. When applying for a loan of any kind, be prepared to provide proper documentation. While documentation requirements may vary slightly based on the type of loan you are applying for and the lender’s requirements, at the very least you will need to provide proof of income, your social security card, and driver’s license. Tax statements may also be needed by some lenders and are always expected when applying for a house loan. Take time to request a list of documents needed by the lenders you are planning to approach. Gather all documentation before your first meeting. Be sure to keep copies of all documents and paperwork provided by the lender. Read all paperwork carefully before signing and do not hesitate to ask questions if you need something clarified. Getting a loan begins with understanding your personal financial records and responsibility to maintain a repayment schedule to safeguard your credit history.